How would I setup PyCharm to recognize import ArcPy? I'd like to use PyCharm to develop and debug geoprocessing tool. 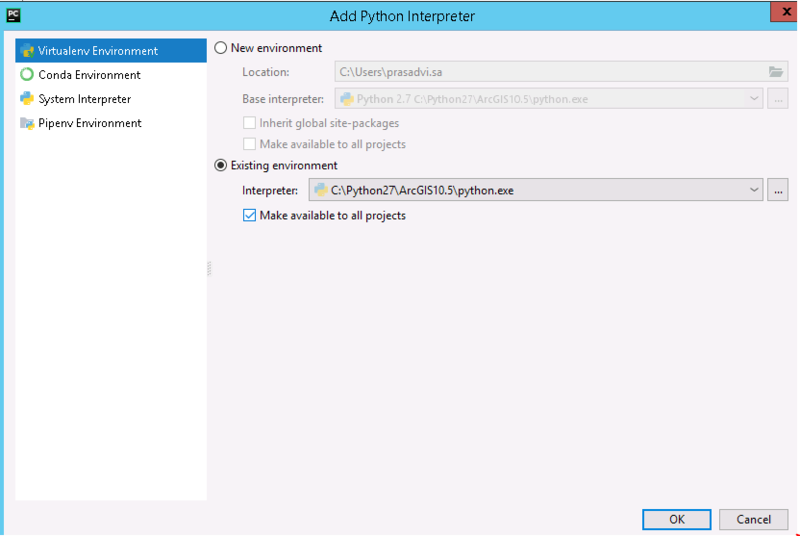 theJones is correct, close all your projects and go to the program settings and search for Python Interpreters. 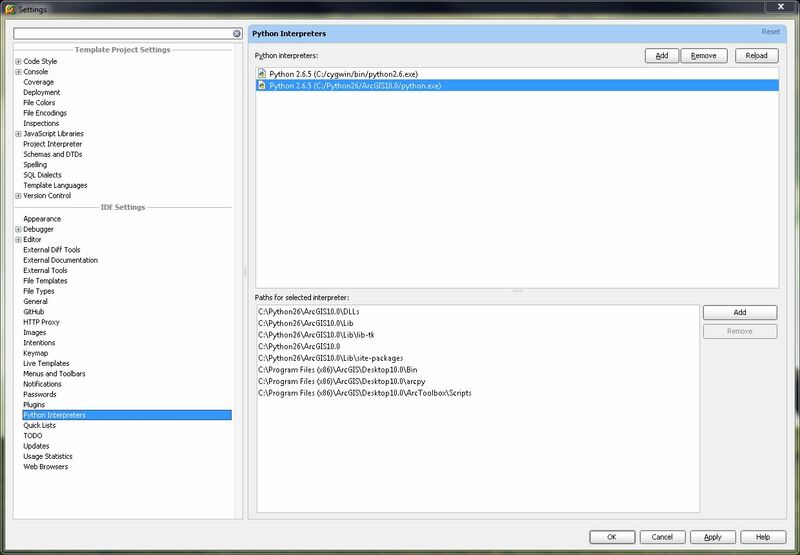 Then select C:\Python26\ArcGIS10.0\python.exe and it should automatically add arcpy for you. To follow theJones and user5584, PyCharm 4 now stores the setting under "Project Interpreter" rather than "Python Interpreters." With all projects closed, and PyCharm still open, go to "Configure" and then "Settings". 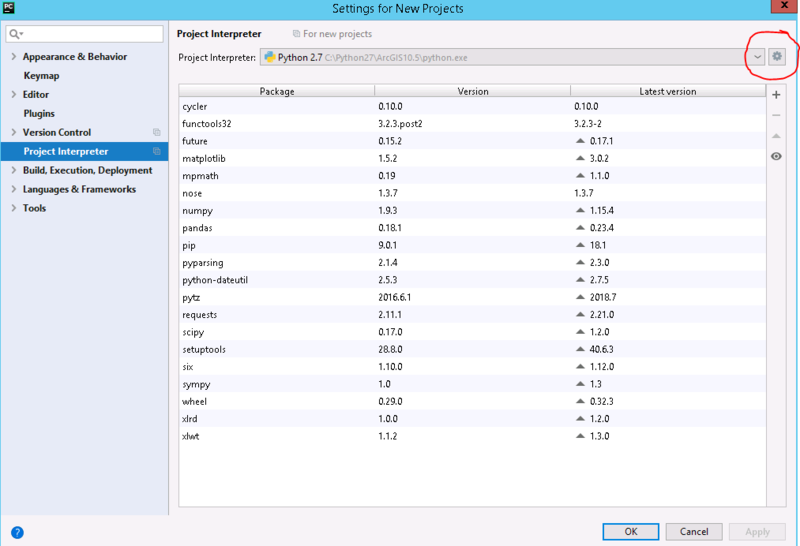 "Project Interpreter" is under the "Default Project" menu on the left. Click the settings gear in the upper-right, and then "Add Local." Navigate to C:\Python27\ArcGIS10.2\python.exe (or appropriate path for your version). Hit Apply and you should have it. There may have been one more step to load or enable something at the bottom of the window, but I can't get that message to appear again and it didn't require anything but clicking on it. Indexing took a couple minutes on a Python script I opened, and then code completion worked great. You can do this in the project Structure setting. Just add it as an sdk and it should work. I use intelliJ but pycharm should be the same. Give it a name and you should be good. Adding it as a global sdk you should be done and get the code completion. It will take some time to index and if it gives an error that 'No interpreter was detected' on opening a project then select File>Settings>Project Interpreter>Select Python 2.7 from the dropdown you recently assigned. Not the answer you're looking for? Browse other questions tagged arcpy import pycharm or ask your own question. How is Python IDE aware of ArcPy? 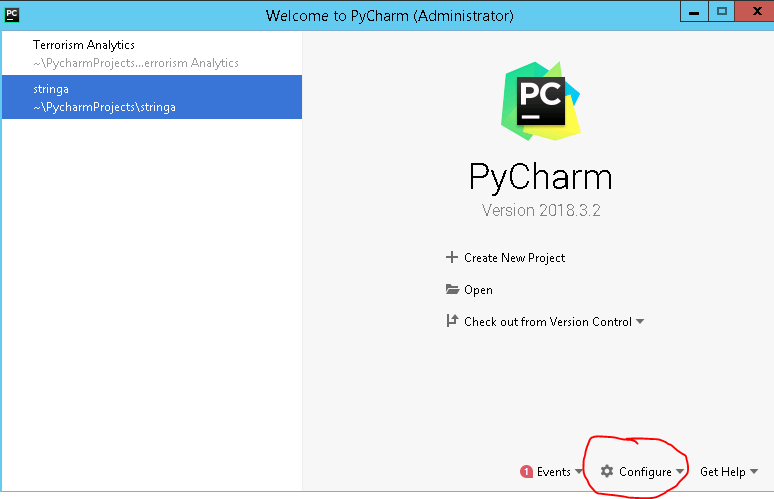 Running and debugging PyQGIS scripts in PyCharm Community Edition? Python script hanging forever in Pycharm with import arcpy? ArcPy 64bit gives 0xC0000005 error with PyCharm?